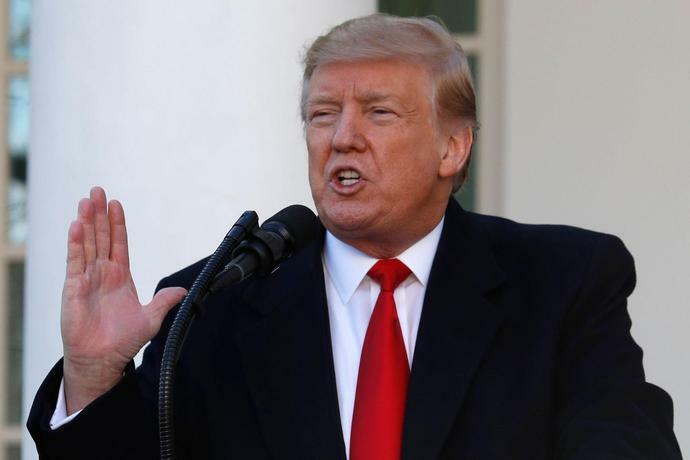 With acceptance of a continuing resolution, President Trump and Congress may have briefly ended a drawn-out standoff about building a $5.7 billion wall along the nation's southern border. The three-week appropriations bill will reopen the government and open a short window of time to resolve the wall-funding issue. Until now, House Democrats would not talk money as long as the government was closed. And Trump wouldn't budge on reopening government unless he got the wall he promised when running for office. Yet after five long weeks, the partial government shutdown - which seriously affected 800,000 federal workers - took a meaningful bite out of GDP growth. According to Chairman of the Council of Economic Advisers Kevin Hassett, some 0.13 percentage points is subtracted from growth for each week while the shutdown lasted. Five weeks means GDP growth is down by 0.65 percentage points, with more taken away each day. For a $20 trillion-plus economy, that's $130 billion dollars on an annual basis. Since individuals do not get billed directly when GDP growth falls, the loss is both everyone's and no one's in particular. Maybe that's why a running tally of the GDP penalty doesn't even make the evening news. We got frequent updates on the number of days and hours (and sometimes minutes) the government was closed, but no news on the ongoing cost. By finding temporary work, borrowing from friendly lenders, and making visits to local pawn shops, those forced out of work somehow found ways to pay the family's bills. They deserve and get our attention. We don't seem to worry much about GDP - which after all is an abstract concept - but understandably focus on stories of real people who are struggling to make ends meet while hoping to be called back to work. As indicated by Kevin Hassett, when government workers are back on the job, they'll receive the pay they missed, and those extra-large paychecks will boost GDP growth, admittedly compensating in part for the shut-down losses. But the affected workers won't be reimbursed for the inconvenience they sustained while living on less or in some cases having to work for no pay. And while GDP growth will recover somewhat, it will not be made whole again. Much government production simply stops during a shutdown, and the services that government would have provided cannot be fully replaced. The shutdown lasted some five weeks. Every week added another $26 billion to the bill. And all of this, we're told, is about a $5.7 billion construction projection. If, after a brief pause or negotiations, the wall struggle shutdown continues, the GDP loss could be large enough to push the economy to the edge of a recession.